With 80 years of adventures under his belt (and possibly his bright red trunks), Superman is easily one of the most well-known fictional characters in the world. He's the iconic, definitive superhero and since his debut, he's been a fixture in pop culture in a way that goes far beyond just being a household name. As familiar as he is, though, how much do you really know about the Man of Steel? Sure, you probably have the broad strokes about how he was rocketed to Earth as a baby from the exploding planet Krypton, and you might even know a few bits of trivia, like how he originally couldn't fly. But with so many twists and turns in a mythology that has spread across comic books, TV shows, films, and more, you might just be some "facts" about Superman rattling around in your brain that aren't quite true. 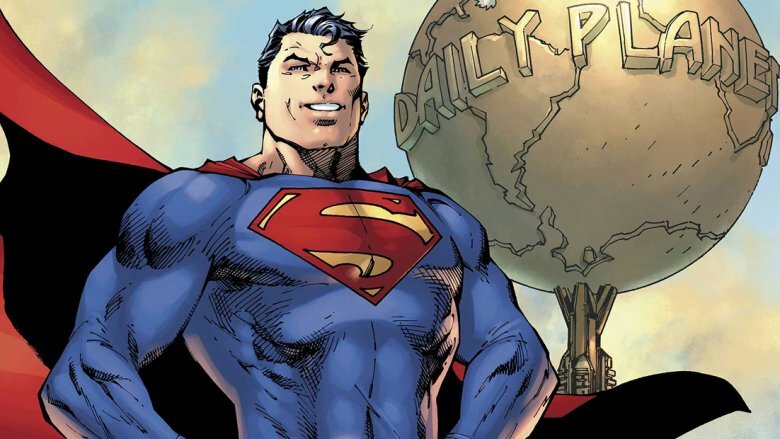 Get your Kryptonite ready, because here are the real answers behind some common misconceptions about Superman! It's impossible to argue that Superman's debut in the pages of Action Comics #1 is not the most historically important moment in the history of the superhero genre. His adventures popularized the comic book medium and kicked off a wave of imitators that within a few short years would include Batman, Wonder Woman, Captain America, and more. It's more than fair to cite him as the first superhero, but when Jerry Siegel and Joe Shuster sat down to create their brand new character, they didn't invent everything out of whole cloth. Instead, they drew a pretty heavy influence from a handful of obvious sources. The concept of the mild-mannered secret identity, for instance, had been around in pop culture since Baroness Orczy wrote The Scarlet Pimpernel in 1905. An even more direct source likely came in the form of Gladiator, a 1930 novel by Philip Wylie about a man named Hugo Danner, whose father's experiments gave him powers and abilities far beyond those of mortal men — like, say, bulletproof skin, the strength to lift a car over his head, and the proportionate leaping ability of a grasshopper. If you've ever seen the first page of Action Comics #1, where Siegel and Shuster provide their "scientific explanation of Clark Kent's amazing strength," that last bit might seem pretty familiar. Even his name was probably lifted from other sources. The two most popular pulp characters of the '30s were Doc Savage and the Shadow, also known as Clark Savage and Kent Allard. That might seem like a coincidence, but consider that a story in 1938, the same year that Superman first appeared, introduced the world to Doc Savage's "Fortress of Solitude" in the Arctic Circle. Of course, none of that means Superman wasn't revolutionary. Siegel and Shuster were influenced by other sources, but they put it all together in a very original way in a whole new medium, and the rest was history. Superman was an instant success. Shortly after his debut, Action Comics was National's top-selling comic, and by 1940, he was headlining the self-titled Superman comic, too, with a popular radio show that aired every day, a daily newspaper strip, and a series of cartoon shorts coming in '41. With that much going for him, he had to be the most popular superhero of the '40s, right? Well, not quite. The real champion of the Golden Age was Captain Marvel, the hero known today as Shazam. Created by Bill Parker and C.C. 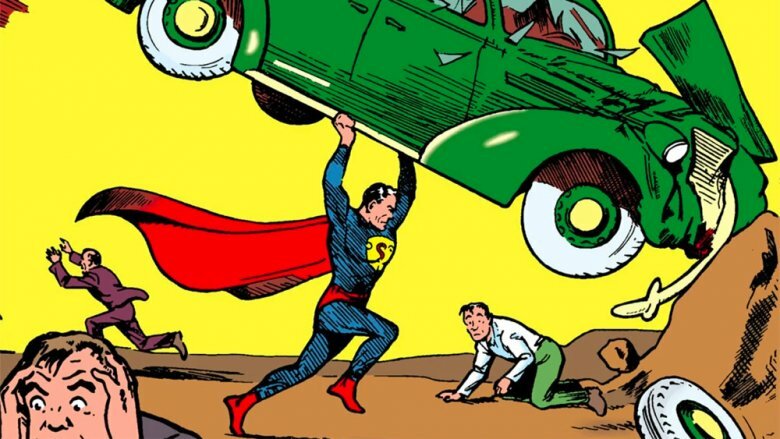 Beck in 1939 for Fawcett Publishing, Captain Marvel was clearly meant to capitalize on the success of Superman, to the point where his first appearance featured a cover where he was tossing a car around, just like Superman was on his debut comic. The difference, though, was that Cap's alter ego wasn't just a mild-mannered version of himself under a pair of glasses. He was a kid named Billy Batson, which — since he pre-dated Robin by about four months — gave young readers their first taste of a character who embodied their own wishes of being a superhero. 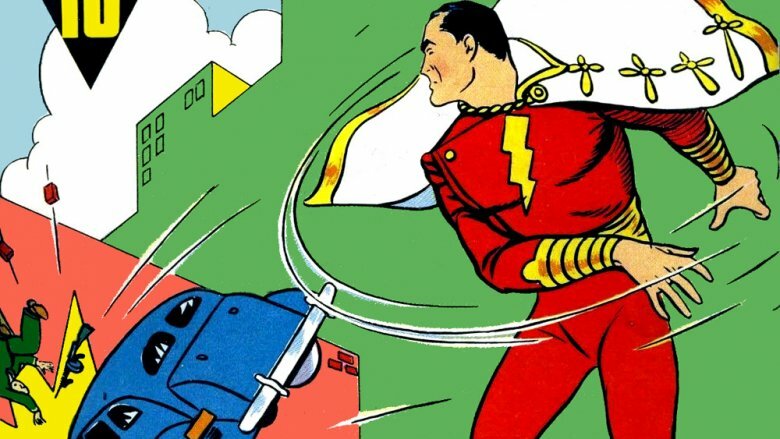 By the mid-'40s, the Big Red Cheese and his sidekicks were appearing in ten different comics every month, and outselling Superman to the tune of hundreds of thousands. Eventually, it got to the point where Superman exercised one of his lesser-known powers of Super-Lawsuit-Filing, with DC successfully arguing in court that Fawcett's dark-haired superhero was ripping them off. 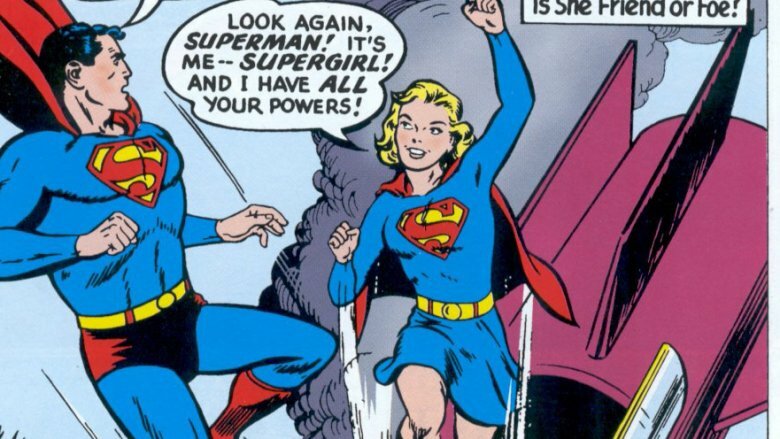 Captain Marvel ceased publication in the '50s, and while DC would eventually buy the character outright, Superman would thrive and Captain Marvel would never reach that height of success again. With Superman's huge success coming right from the start, it's easy to assume his creators were living large off the massive amount of money he was bringing into National. Unfortunately, that wasn't the case. After unsuccessfully attempting to sell their creation to publishers for three years, Siegel and Shuster took what could best be described as a bad deal, selling the rights to Superman for only $130. Even adjusted for inflation, that's only around $2,000 in 2018 money, a microscopic drop in the bucket compared to the billions he's brought in. After that initial wave of success, Siegel and Shuster tried to renegotiate their contracts, going to Batman co-creator Bob Kane in hopes of presenting a united front to their employers. Unfortunately, Kane stabbed them in the back, informing the publisher of their plans and preemptively renegotiating his own contract. As a result, Siegel and Shuster never got the money they felt they deserved. Siegel would write for DC up through the '60s, but Shuster had to make ends meets by drawing adult comics where suspiciously Superman-esque men were dominated by whip-wielding and suspiciously Lois Lane-esque women. The creators of one of the world's most popular characters toiled in relative obscurity and unfortunate poverty until the '70s, when comics creator Neal Adams spearheaded an effort to get Siegel and Shuster both recognition and money from DC, leading to Warner Bros. granting them a lifetime stipend. All things considered, Superman's origin is pretty straightforward. As the planet Krypton explodes, doomed by its own hubris, a lone child is sent to Earth as a baby, where he'll thrive and protect our world from the fate that destroyed his own. He's the Last Son of Krypton, a sole survivor, unique in the universe. Well, except that he's not the only surviving Kryptonian by a long shot. It's just that "the Eighth-or-Ninth-To-Last Son of Krypton" doesn't have the same ring to it. While Superman was certainly the universe's lone Kryptonian for a few decades, other survivors of that allegedly doomed planet have been showing up since the mid-'50s. It started with Krypto the Super-Dog in 1955 and the truly hilarious origin story of a hyperactive puppy hopping into one of Jor-El's test rockets and blasting off into space. After that, readers were introduced to an entire shrunken city full of tiny Kryptonians when Kandor appeared in 1958, followed by Krypton's second-most famous survivor, Supergirl, in 1959 — created by former Captain Marvel writer Otto Binder and artist Al Plastino in an effort to recreate the success they'd had with Mary Marvel at Fawcett. In 1961, Binder would also introduce the Phantom Zone and a virtually endless array of Kryptonian criminals who survived in a ghostly dimension, including General Zod. There was even a super-monkey, Beppo, introduced as a Kryptonian test animal in 1959 at the height of the space race. While DC would scale back all of this in the '80s — leading to a version of Sueprgirl who was somehow both a protoplasmic ooze, a dead teenager, and a literal angel from Heaven at the same time — they'd eventually bring it all back in. The weirdest part? As of this writing, Jor-El, Superman's father, is somehow alive again. Okay, this one is tricky. It seems pretty obvious that the stories of Superboy are just stories about, well, Superman when he was a boy, right? It even says so right on the covers of most Superboy appearances. It turns out, however, that what is obvious and what is true according to a court of law aren't always the same thing. While Jerry Siegel pitched the idea of doing stories about Superboy as early as 1938 — which would've predated both Robin and Billy Batson, who would be incredibly popular with younger readers — he was shot down until 1945, when long-time editor Mort Weisinger decided to expand the super-brand a little. Superboy would run in various titles, including Adventure Comics for years, and while it was clearly meant to be a story of the same Clark Kent at a different age than the main Superman book, the titles were kept fairly distinct in terms of the supporting cast, and even the location — young Superboy was based in Smallville rather than the bustling city of Metropolis. 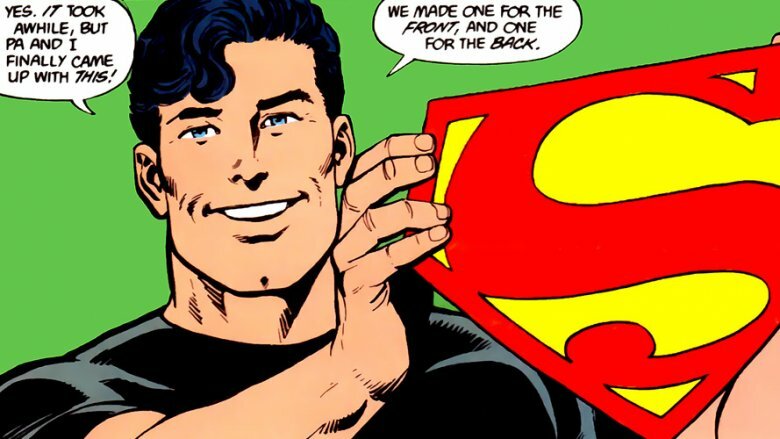 During an attempt by the Siegel and Shuster estates to reclaim the rights to Superman, they argued that Superboy was a distinct character with a separate trademark, and in 2006, a judge agreed. Over the next few years, the decision would eventually be reversed, and DC would settle with the creators' heirs over the rights to all versions of Superman, but for a period of a few years, there was a big enough difference that DC killed off the existing Superboy and renamed a villainous character from "Superboy Prime" to "Superman Prime." It's a complicated legal situation, but if you ever cringe remembering something you did as a teenager, it's always good to know that you could legally argue that you were a completely different person back then. 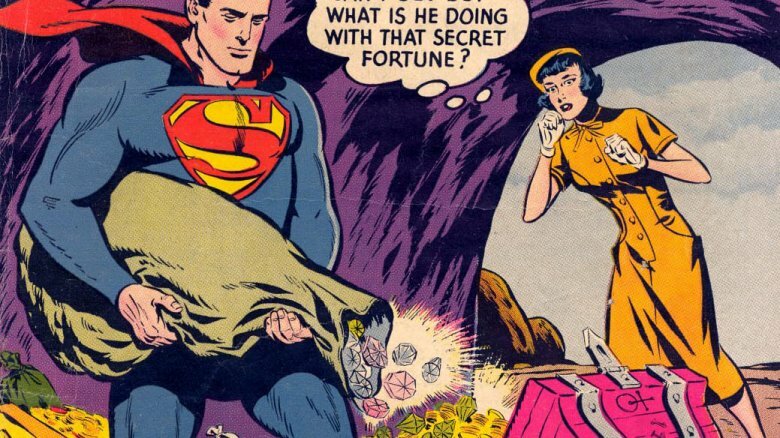 As he was originally conceived, Superman had no real weaknesses, with early stories claiming that nothing short of an "exploding shell" could penetrate his super-tough skin. That's all well and good on the comics page, but on the daily radio show, Superman actor Bud Colyer occasionally wanted to take a vacation. 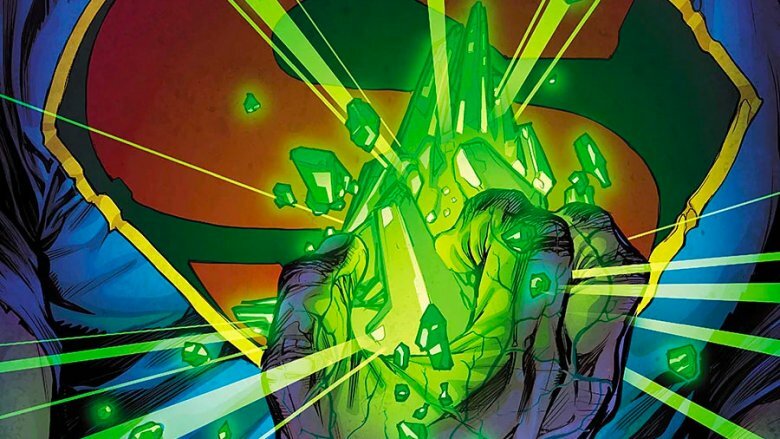 To help out, the radio writers came up with Kryptonite, a chunk of his home planet that was turned radioactive in the explosion. The comics quickly followed, and before long, Kryptonite was a household word and as synonymous with a single weakness as "Achilles heel" had been for the past few thousand years. It is not, however, Superman's only weakness. When later stories characterized his powers as being the product of Earth's yellow sunlight and a sort of nuclear photosynthesis within Kal-El's body, it came with the idea that under a red sun — the kind of star Krypton orbited — he'd lose his powers. Additionally, since he had his roots as a science-fiction character, the creators at DC reasoned that Superman would be every bit as vulnerable to magic as everyone else is, although it's worth noting that it doesn't remove any of his other powers. In other words, you can cut him with a magic sword, but you have to hit a man who can move faster than a speeding bullet to do it. Since her first appearance in Action Comics #1, Superman and Lois Lane have gone together like speeding bullets and locomotives. 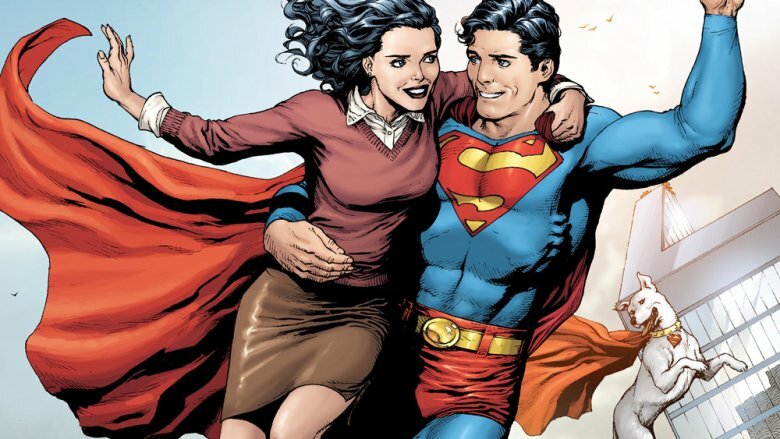 She's a great character in her own right, and defined the love interest in the superhero comic, and it's almost impossible to imagine Superman being in love with anyone else. The keyword there, though, is "almost." Over the course of his stories, Superman has had plenty of other love interests, most of whom have shared a familiar set of initials. Lana Lang was introduced as Superboy's equivalent to Lois for Clark's younger days, Lyla Lerrol was a beautiful Kryptonian actress that he fell for when a time-travel mishap saw him trapped on his home planet in the past, Lyrica Lloyd was a beautiful actress he fell for on Earth (he has a type), and Luma Lynai was an alien hero that Supergirl set him up with once. The strangest one, though, was Lori Lemaris, Clark's college sweetheart. He even proposed marriage to her at one point, but it didn't work out, on account of her being a mermaid. There are several stories, including the 1978 Superman movie, the Smallville TV show, and the current DC cinematic universe, along with several comics, that have explained that Superman's trademark S inside a shield-shaped pentagon is actually an ancient Kryptionian symbol. In the '78 movie, it was the crest of the House of El, and in Man of Steel, it was referred to as a symbol for "hope." That deeper meaning is only true sometimes, though. 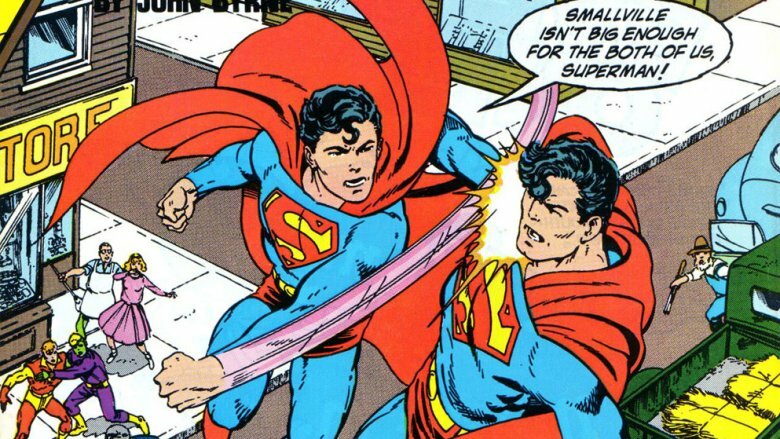 In the majority of Superman stories, the S is … an S, and stands for Superman. It's pretty simple, actually. That's what it was in Superman's original Golden Age appearances — the early comics versions of Jor-El sported a sunburst emblem on his suit rather than the S — and a more modern reboot in the '80s made that explicit in an interesting way. After he saved an airplane while wearing civilian clothes in Man of Steel #1, Lois Lane gave this mysterious hero the name "Superman," and it was Jon and Martha Kent who decided to roll with it and designed the logo. Ask anyone what Superman's secret identity is, and they will almost invariably tell you it's Clark Kent, and if you then ask them who Clark Kent is, they'll probably tell you he's Superman while looking at you like you asked if air was a good thing to have around. It's obvious. But it's not always true. Kal-El has had plenty of other identities over the years — including, arguably, "Kal-El." 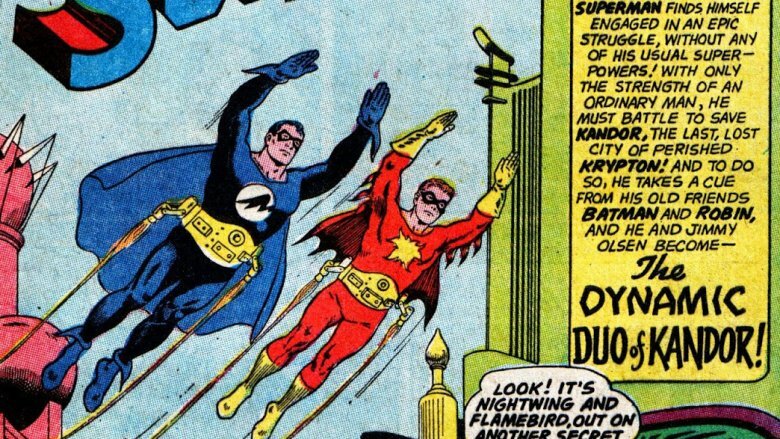 As early as 1963, he added a second code name to his roster when he shrunk down and took Jimmy Olsen into the Bottle City of Kandor so they could fight crime as masked heroes called Nightwing and Flamebird. Those stories were based around the idea that Superman could also be a pretty good Batman if he wanted to, and as time went on, his multiple identities only got weirder. In the late '80s, he suffered a breakdown over his guilt at having to execute three genocidal Kryptonians from another dimension, and wound up forming a split personality that took to the streets as a violent costumed vigilante called Gangbuster. When that identity was revealed, he wound up exiling himself from Earth and eventually became a space gladiator who grew a beard and wore his cape as a toga. Even stranger? When "Clark Kent" was killed in the 2010s, Superman was forced to adopt a new secret identity: a firefighter named Johnny Clark. The best part is that instead of disguising himself with a pair of glasses, Johnny hid his identity by — wait for it — always wearing a hat. No, really. There are plenty of stories where Batman and Superman throw hands in a brutal battle between the peak of humanity and an all-powerful alien, to the point of being one of the most well-known depictions of their relationship. 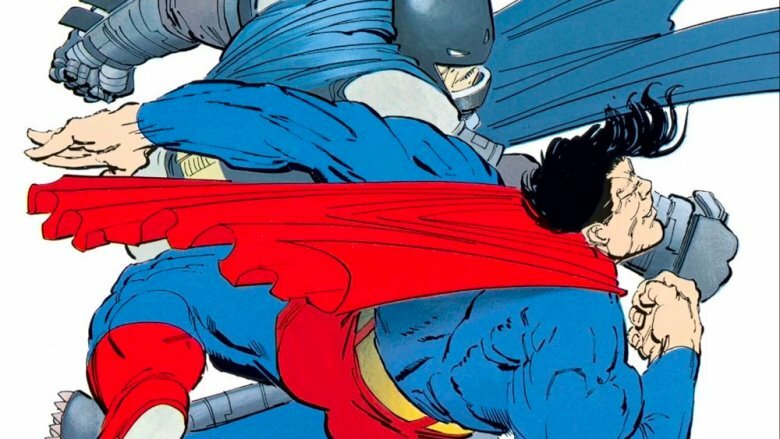 Really, though, all of that has its roots in a single story, Frank Miller's Dark Knight Returns, which climaxes in a knock-down, drag-out brawl between a power-armored Batman and a Superman who's been weakened by the force of a nuclear explosion. DKR was so successful and influential that a whole generation of creators attempted to recreate its most memorable moment, and a whole generation of fans loved seeing it again. But as influential as DKR might be, there are way more stories that depict Superman and Batman as not just crime-fighting colleagues, but actual best friends. The characters starred in a team-up book called World's Finest Comics for decades, with stories that were often based on their friendship with each other. Even more modern comics, like Tom King and Clay Mann's 2018 "Superfriends" storyline is based on the respect the two heroes have for each other. It's fun to see Batman slide on a Kryptonite ring, or watch Superman tear through the Batmobile, but more often than not, they're buds. Which makes sense. Fighting a neverending battle against the forces of evil probably shouldn't leave a whole lot of time for getting into scraps with other good guys.